Influencing hearts and minds at home to achieve foreign policy objectives abroad isn’t anything new, but many people have become increasingly skeptical of half-truths in the mainstream media that help promote regime change in other countries. As public trust wanes and more critical questions are being asked about the real agenda around intervention, are we becoming more aware of modern day propaganda? The so-called elites will always wage a battle for your mind. To this end, it’s not about what is vigorously debated in public, but rather what is left unsaid. 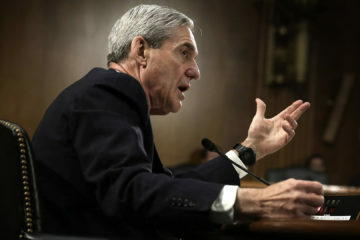 When the alternative narratives are brought to our attention, the only option, really, for the establishment and other powerful actors is to play the man, not the ball, and target the people providing a different point of view. 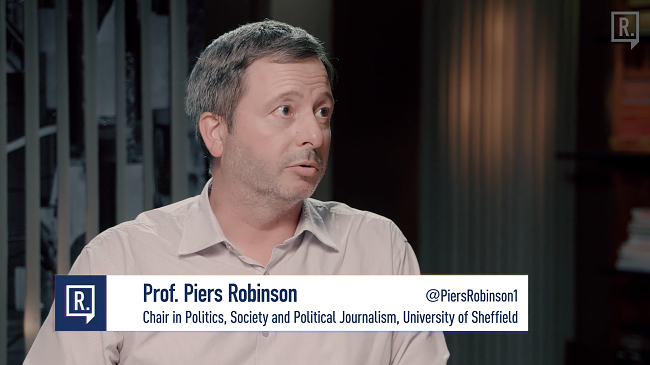 Someone who knows this strategy well, because he’s been on the receiving end of it, is Professor Piers Robinson who is Chair in politics, society and political journalism at the University of Sheffield. 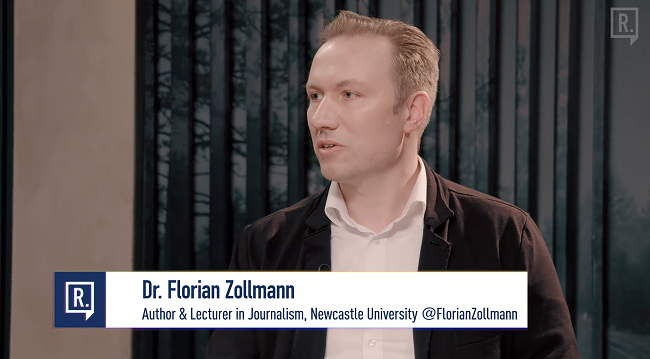 We are also joined this week by lecturer in journalism at Newcastle University and author of media, propaganda, and the politics of intervention, Dr Florian Zollmann. 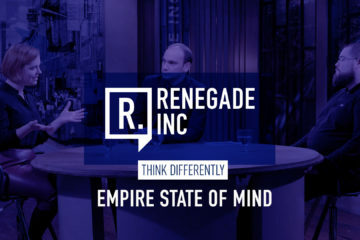 Dr Zollman tells Renegade Inc. that people often have a misconception about modern-day propaganda, because they might think about a very specific type of influencing publics, often relating to what you might call a kind of nefarious actors of state. “It might be easy to think that, say, the Nazi regime of Germany was conducting propaganda, or that the Soviet Union conducted propaganda. Nowadays we might think about the Trump administration and propaganda and ‘fake news’ and so on, but but if we look at the history, there’s much more to propaganda when we look at our own democracies,” he says. Dr Zollman says it is important to look back at the history, to trace back the terminology of propaganda and how it has changed. Scholar Edward Bernays, (nephew of Sigmund Freud), wrote a fairly famous book called ‘Propaganda‘. 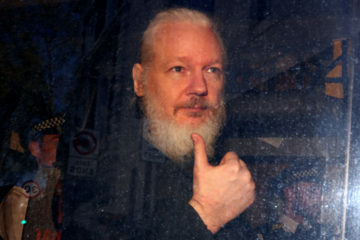 In it, he refers to any promotional activity as being part of the propaganda kind of techniques. “This could be obviously advertising techniques that companies might use just to propagate their products to their audiences or to consumers, if you like, but it also pertained to governments and how they get their kind of views across to their populations, in democracies,” Dr Zollman says. “One scene which is really important in Bernays’ book is, that he looks at WWI when propaganda was heavily used to support the war effort in the US at the time, also Britain and Germany as well. But it was regarded as a quite successful campaign to change public opinion in the US. In this book Bernays is quite honest about it and he says – I mean I paraphrase him broadly, it’s not a direct citation – but he says something like: ‘from now on, intelligent people of our countries have to make use of this in the future to influence people, whether this might be as part of governance, but it could also be, say, if you want to advocate your product as a company’. 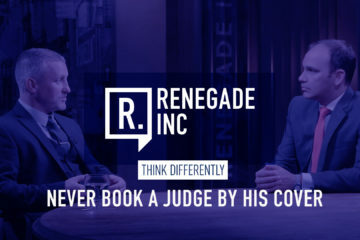 “He has different chapters, basically relating to these different sectors in society, and how essentially powerful people should use propaganda. It’s also quite important that he speaks about elites. There’s not really a close definition in the book, but he refers to, say, the business roundtable in the US: people in government, say, and political governments, presidents, people also in the trade union association, but also people higher up in the institutions. 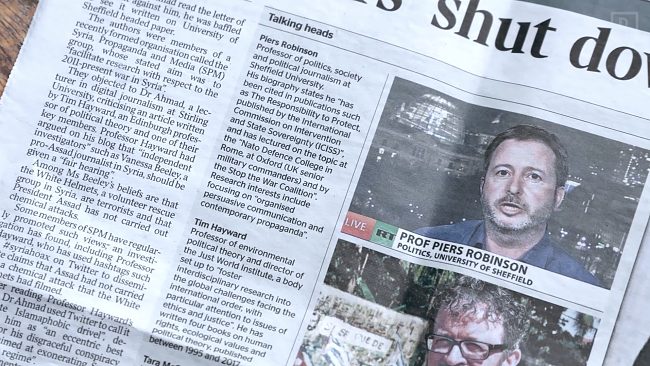 Professor Piers Robinson was up close and personal in the propaganda and media witch-hunts surrounding the Syrian crisis, specifically Douma. 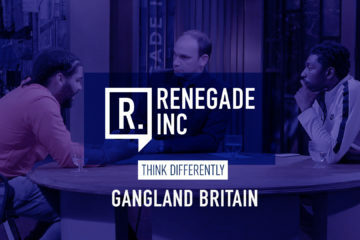 “I think the reality is that this is an integral part of governance in liberal democracies,” he tells Renegade Inc. “I mean, Florian was talking about the history, and it was even back in the early 20th century, you had discussions about the need for the intelligent manipulation of the mind, and this is really linking into ideas that democracy is okay, but you have to manage it as well. Managed democracy, and so on. The professor says that some people understand propaganda as any kind of promotion or persuasion, but really most definitions work with an idea that involves manipulation, not primarily a democratic process. “It’s not about persuading people to agree to invade Iraq for reasons which they understand fully, and which they sign up to in the sense that they have rationally thought about the arguments and thought, ‘yes we need to go to war’,” he says. “Iraq being a classic example of this now, where you had a government which was trying to persuade the British public to support military action against Iraq without really having the grounds rationally to actually sort of mobilise that support. So what you had in the end with Iraq was an exaggeration of intelligence to present Iraq as a much greater WMD threat than it actually was. “Iraq is not an exception. This happens time-and-time again when you look at historical examples. To be able to manipulate in that way requires throwing logic out the window. And the point is that isn’t going to stop overnight. PR campaigns, manipulation, they are not going to suddenly cease if we’re going to continue to manage these democracies. Dr Zollman says one important part of propaganda campaigns is demonisation, which often seems to be out right manipulative. 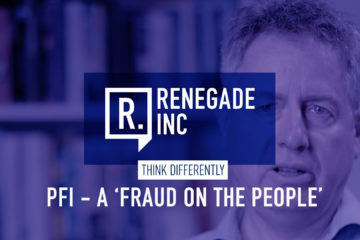 “You might quite quickly find counter evidence also in the public domain, and documents, but I think it’s also important to consider that there’s more subtle examples of propaganda as well,” he says. Friend or foe? And who gets to decide that? This demonisation seems to have become a dominant part of news reporting, more publications seem to be devoting a lot of time and energy trying to diminish the credibility of those whose reporting or research contradicts their own, rather than providing key context and nuance for their audience to make better sense of the world. And who’s to decide and who actually decides who is our friend and who our foe? 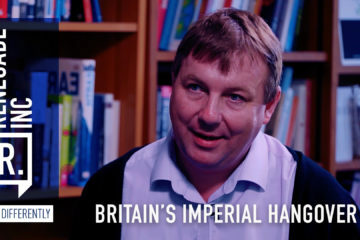 Professor Robinson says the present strategies in relation to war and conflict are incredibly reminiscent to what we saw during the First and Second World War. He says people are being divorced from rational thinking by demonising the enemy so that they respond with emotion and anger, rather than thinking about the facts. “This is something which is tried and tested,” he says. “It’s been going on for a very long time. I think that propaganda in terms of conflict does seem quite obvious when you’re not in the midst of it. When everyone’s shouting that the Syrian government is killing, committing genocide etc, people are sort of kowtowed or caught in the headlines of that. “A lot of time, propaganda is more subtle. “It’s about shaping the information environment, in ways which don’t seem to be necessarily appealing to emotions. But then there are other propaganda techniques that can be used to manipulate people’s opinions. Omission is one of the biggest issues we are facing today. “In the case of Syria, for example, the one thing that has clearly been omitted from public presentations has been the West and its Gulf State allies’ support for militant extremist groups in Syria,” he says. “Some of those connected with al-Qaeda, for example. Those are things which have really being outside of people’s understanding. Dr Zollman says there is an interaction between these demonisation campaigns which are more straightforward and direct, and the broader discourse about conflict. Looking back at the Iraq conflict, we know that the casualty figures have been vastly downplayed in the media. Some studies suggested 100,000 deaths in Iraq after one year of occupation, and about 600,000 deaths by 2006, three years into the occupation. 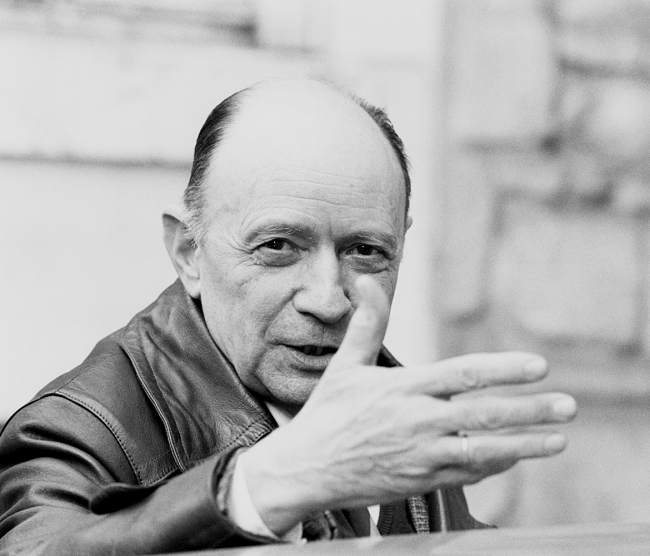 French philosopher, Jacques Ellul says that propaganda directly related to facts is one of its most pernicious forms. The propaganda researcher says often media fails to cite some of the leading medical journals in the world, often relying on figures quoted by other institutions that suggested one tenth of the casualties. “You might have a really factual discourse which might sound rational, and which might give you information you think is accurate, but then there are some important studies, which as Piers said, that are omitted from the discourse,” Dr Zollman says. “If you now go back to what propaganda scholars say about how do you make propaganda effective? If you look into the work Jacques Ellul for instance, who was one of the leading late propaganda scholars, he said in his book that propaganda directly related to fact is obviously more credible, so it might be used by people who were engaged in propaganda. “Robert K Merton, for instance, is another late scholar who called it ‘technologic propaganda’. He even coined the term ‘propaganda of facts’, that obviously if you just appeal to emotions using demonisation it becomes too obvious, it might backfire later. “Propaganda which doesn’t easily backfire, which is rational, ‘factual’, might obviously seem to be more credible. Dr Zollman says it is important to distinguish between different kinds of elements of propaganda, especially looking at different kinds of texts including news media or other pronouncements. “It could be straightforward demonisation, and this might be easier to tackle, but then we might have other discourses which could even look very critical,” he says. “There was a lot of critique say about the Iraq war, really heavy critique, even in the elite press about how the occupation was handled. ‘Quagmire’ was a discourse and so on. So you could think, well, is this propaganda? “There was really no moral critique, really, about Iraq. Could this have been a violation of international law, or a war crime? Professor Morgan says the fact that very few outlets have reported on the UK’s abstention on the UN vote on Gaza, is a good example of the inconvenient facts that don’t get discussed when it comes to foreign conflicts. (We have only seen this reported in the Independent). “It sort of goes to that this idea of omission, what is not spoken about, is in a sense one of the biggest parts of propaganda and manipulating people’s opinions,” he says. American economist Thomas Sowell recently tweeted that too many people in the media cannot seem to tell the difference between reporting the news and creating the propaganda. Dr Zollman says there is a lot of research examining whether journalism is also is part of the creation of propaganda, be it intentional or unintentional. 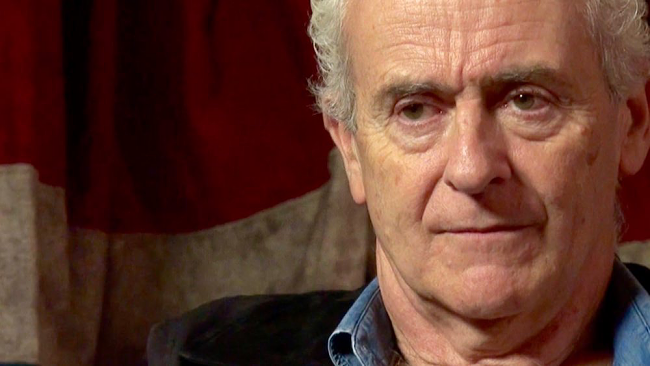 Author and investigative journalist, Nick Davies says ‘churnalism’ has taken the place of what journalists should be doing: Telling the truth. We often say on this program that people are very careful about what they put in their bodies, what they eat, etc. But what they put into their minds, they are less vigilant about, and that’s not always their fault. 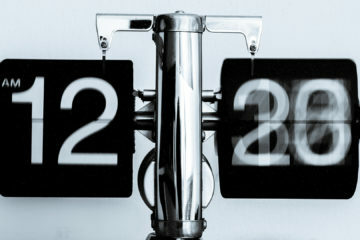 People are time poor but knowledge hungry, and they want to know what’s going on in the world. In the first half of the episode Professor Robinson mentioned that there are groups in the Middle East that are being funded by the West and this is part of the propaganda drive. “In terms of public perception, the conflict in Syria has been understood as a democratic revolution which occurred against a brutal repressive regime,” he says. “Now the reality is that the West has been very much involved in the conflict from very, very early on. “What we certainly do know at this point in time is that there has been extensive support for militant groups coming from the west and from Gulf State allies. “I remember the day on your show when President Obama said ‘Assad must go’,” he said. “And I looked at you and Joe and I said, ‘Huh? How’s he going to do that? Where’s the policy for that? And we know they sent in the CIA to overthrow Assad. The CIA and Saudi Arabia together in covert operations tried to overthrow Assad. It was a disaster. Eventually it brought in both ISIS as a splinter group to the jihadists that went in. It also brought in Russia. So we have been digging deeper and deeper and deeper. What we should do now is get out. “This happened because of us. These 600,000 are not just incidental. “We started a war to overthrow a regime. It was covert. Professor Robinson brought this up right at the critical moment when everyone in the West – certainly France, the US, the UK – was gearing up towards taking action against Syria. He was dubbed by the mainstream media, specifically the Times, as one of Assad’s ‘useful idiots’. “Given all that’s known about President Assad’s willingness and capacity to inflict harm on a captive population, it would take an extraordinary degree of credulity, sophistry and ignorance to exculpate him of this atrocity. Professor Robinson says that in one sense, the Times’ story attacking him and his colleagues for forming a research group on Syria is a very obvious propaganda technique. “You are asking difficult questions in the middle of a conflict,” he says. “You’re not pro Assad, you’re pro truth. You want to find out what exactly is going on. Dr Zollman says many decent media economists would write in their books that if you want truthfulness, diversity of public opinion in the news, watchdog functions and the ability to question those in power, these norms cannot be provided in a commercial, market system. “Its use is expensive,” he says. He says the market systematically underfunds news, which leads to a kind of output which British investigative journalist, Nick Davies describes as ‘churnalism’, whereby some journalists are required to file up to 40 stories a week. Does this mean that the public will come to an inflection point where they say, ‘actually we’ve had enough of this’? Where they can see through much of what they’re reading, and watching. They may not necessarily know about the other bits of it that are specifically missing, but they can broadly, intuitively decide that the news media as it stands is no longer working for the public interest. What would that inflection point look like? 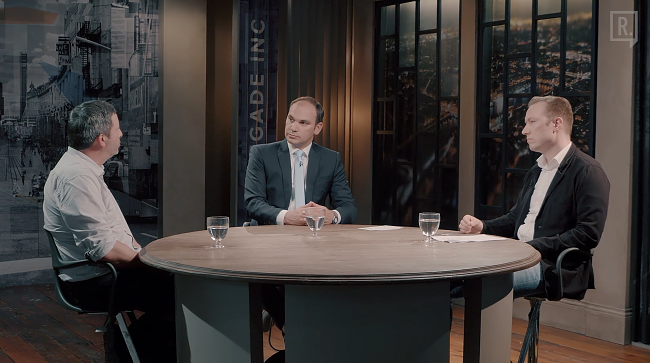 Professor Robinson says he thinks we are seeing some of that inflection point at the moment in terms of the declining levels of trust in mainstream media, government and institutions. “That is making it increasingly difficult for governments to govern, or to do what they want,” he says. “But it’s also more important than that. We are hitting a real problem in terms of democracy. We have people who don’t trust, for very good reasons, the information that they are being given. You have a ratcheting up of propaganda activity. And the more you have of that, the further you get away from an ideal public sphere, rational debate, the further you get away from democracy. 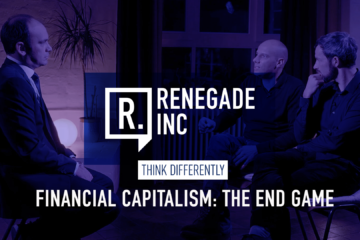 “I think we’re seeing at the moment with the kind of political dissent we see in Britain and the United States, but also across a lot of, many European countries, we are seeing an understanding, an emergence of the kind of problems which we’ve been discussing with mainstream media, public awareness, lack of trust in institutions. But what if that inflection point shifts to a move towards totalitarianism where people actually give up a lot of that idealism and say, ‘someone else look after it, it’s better in your hands’, and then governments gets more power and clamps down harder on those dissenting voices? 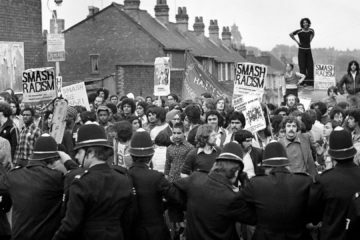 “Well I think people, if you look at history, people do continue to fight,” says professor Robinson, “People want to live in a society which they believe in, at least to some extent. I do think that governments are now shifting into trying to manipulate information. And you see this happening on the web at the moment. All the debate over Google and the hierarchy of search returns, of a possible emergence of artificial intelligence programs and so on which sift information. It is probably reasonable to expect that that is going on. In fact, we do know that sort of GCHQ and so on do spend some energy into looking at information which is out there on the web. “So the potential for manipulation and control is increased because of the internet environment. Is the backdrop to all of this a crumbling economic system that doesn’t do what it says on the tin? Everyone’s been told about the ‘property owning democracy’, the American dream and all the rest of it. Does the West now have to now face up to the fact that it’s been peddling a system that actually isn’t going to deliver on a lot of those promises? And has that been a backdrop to a lot of the use of this modern day propaganda? Dr Zollman says while certainly we are seeing a really strong propaganda effort in Western democracies, it might also pertain to some hope. “I think there is certainly a crack in the way that the internet has also opened up debates and possibilities,” he says. “What we might call ‘gate-watching’ has become more prominent. We see that there are grassroots organisations and individuals using Twitter and other software, and getting quite a good amount of followers. And also producing independent journalism. But as I said before, I think real independent journalism based on investigation needs more than that. “You need literally millions of pounds to do serious consecutive journalism over time. Societies really need to think about how do you want to exchange that. 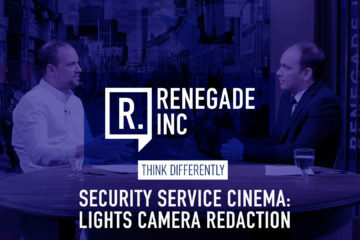 Professor Robinson says the best technique is to actually give people the skills to use their own intelligence to sort through information. “That is really the most productive way to go forward, in terms of taking advantage of the information we have, the potential we have with social media, as well as tackling this issue of funding a public sphere that’s going to enable democracy and so on,” he says. “And maybe also ultimately reminding people that they do have a responsibility in a democracy. I know that some people talk about the age of apathy and people claim ‘well, I’m too busy with my job’, etc. “People have to work hard on democracies. If people don’t fight for the truth, if people do not hold their governments to account and scrutinise their governments, democracy fails. 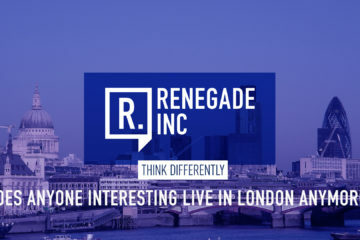 That’s it from Renegade Inc. HQ this week. 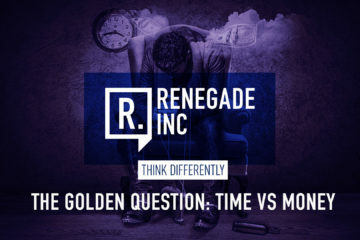 You can drop the team a mail studio@renegadeinc.com or you can tweet us @Renegade_Inc. 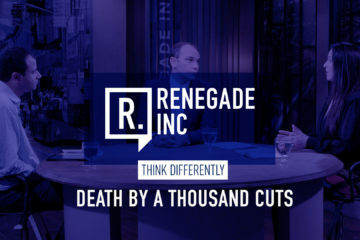 Join us next week for more insight from those people who are thinking differently but until then stay curious. 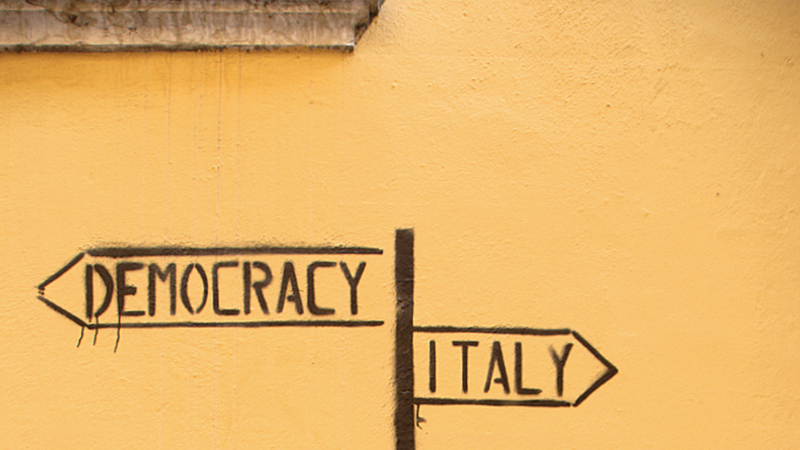 The Italians have endured over 16 years of zero economic growth and youth unemployment around 27% or more, without much hope in sight. Their debt is US$4 trillion dollars and growing - an amount that they will never be able to repay. The people have finally had enough and are demanding change. But is that enough?